Start January 29th 2016 sought document of the assistance provided to the authorities by the man who was charged with fraud. The victims wanted to weigh the assistance against the $10.2 million in value of money that went to his parents and the misappropriated 6.7 million dollars. Also the victims wanted to learn the settlement accepted between Insolvency firm Jirsch Sutherland and Mr Richard’s parents over the return / repayment of US$160,000. April 8th 2016 from ASIC Received 10 page letter citing Section 11B concerning public importance, Section 47F(1) unreasonable disclosure of personal information about any person, schedule of documents (1 page) lists 8 items, 7 are exempt s47F a newspaper article is released and record of deposits July 1 2008 to June 30 2009. Start February 22nd 2016 sought information concerning the one page Exemption ‘Section 248 of the Anti-Money Laundering and Counter-Terrorism Financing Act 2006” signed by acting AUSTRAC CEO May 9th 2008 to exempt Absolute Alpha Ltd from the following specified provisions of the AML/CTF Act: Also copy of AUSTRAC’s acknowledgement of the $50 million transferred by Rex Phillpott into one of Trio Capital’s overseas hedge funds in 2009 and the process AUSTRAC followed due to the above mentioned Exemption. Ten communications later, then in March 24th 2016 AUSTRAC replied citing Section 24A of the FOI Act that the document s14A(b)(i) cannot be found / s14A(b)(ii) does not exist. To assist AUSTRAC, VOFF sent copy of the “Exemption” document. June 2nd 2016 AUSTRAC sent by Express Post, a 2 page cover letter, 1 page called Attachment A reason for decision, 1 page called Attachment B reason under the Act, 3 page Absolute Alpha letter signed by Shawn Richard. Letter reflects legal compliance to waiver reporting under the AML/CTF Act. Start April 10th 2016 sought the applications for the Australian financial services license for the Wright Global Investments and the 8 applications for the Astarra Capital Limited. Fourteen correspondences latter on September 22nd 2016 received from ASIC ref. AFSL 225058 & 238000, four page cover letter and document (combined total of 38 pages). They are application forms filled out by Shawn Richard and Matthew Littauer and redacted sections reflect 3rd parties unable to be contacted. Contact VOFF to access this file. FOI No 447 to Treasury seeking Appendix 4 application dated November 27th 2016. Treasury’s reply December 2nd 2016, advised that the document is exempt from release under section 46 of the FOI Act. No 449 to Kelly O’Dwyer MP seeking the information about Flader ASIC sent to the SFO (Dec 1st 2016). Reply (Dec 23rd 2016) said unable to grant access because the document is not in the Minister’s possession. FOI No 450 to ASIC Chair Greg Medcraft seeking Appendix 4 (Dec 1st 2016). Reply Dec 21st 2016 ASIC advised that the document is exempt from release under section 46 of the FOI Act. FOI No 451 to ASIC Chair Greg Medcraft seeking info about Flader sent to United Kingdom SFO (Dec 1st 2016). Reply (Dec 21st 2016) said neither confirm nor deny the existence of the document. In response to the above 5 letters VOFF lodged an appeal to the Australian Office of the Information Commissioner (OAIC) (Jan 2nd 2017) for the IC to find a way to resolve this issue. At the moment in Australia there is mandated superannuation and the government use their "government privilege" card to avoid explaining how undesirables were able to operate in the Australia financial system when most of the brokers that operated and owned Trio Capital Limited were unwelcome elsewhere after being chased out of other countries around the world. VOFF argue to the IC that our request for the documentation is also in the "public interest". For example, according to the Australian Tax Office, as of 30 June 2016, there are over 14.8 million Australians that have a super fund account and 566,735 self-managed super funds (SMSFs) are now in operation. There are about 500 superannuation funds operating in Australia. At the end of the March 2015 quarter, superannuation assets totalled $2.05 trillion. 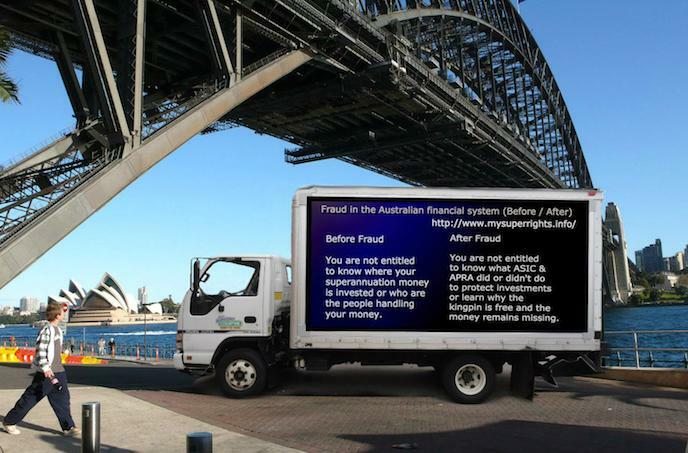 Millions of Australians are unaware that they will be left in the dark if they have their investment savings stolen through fraud. for VOFF FOI No 450 be reviewed. FOI No 451 be also reviewed.